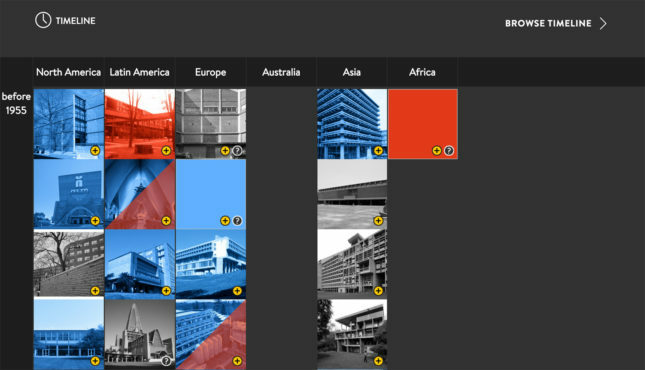 In doing so, buildings are indexed through a variety of categories including, date, location, typology, and search tags. 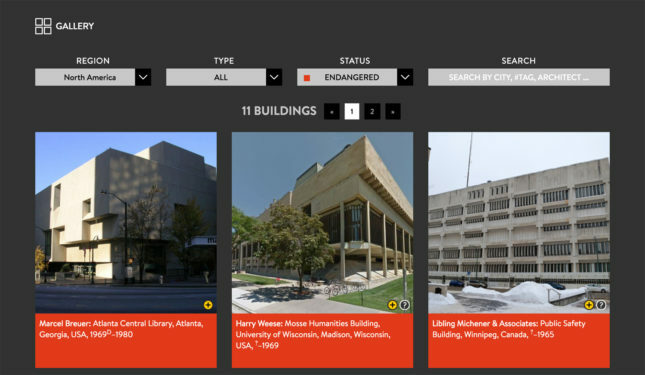 The most important category is “status,” which lists buildings as either “saved,” “endangered,” “partially saved,” “partially demolished,” “least concerned,” and “demolished.” The database is open and can be added to by anyone who emails in (you can so do here), provided images and a description are supplied. Buildings that were included in Banham’s “The New Brutalism: Ethic or Aesthetic?” have subsequently be labeled with the hashtag #Banham1966. Others built before 1955 have also been tagged #Forerunner meanwhile, aside from Banham’s criteria for the style, #SOSBrutalism has prescribed its own: “Brutalist buildings are not always made of concrete. But they are always “rhetorical” in that they blatantly place the focus on their material or sculptural form,” it explains. 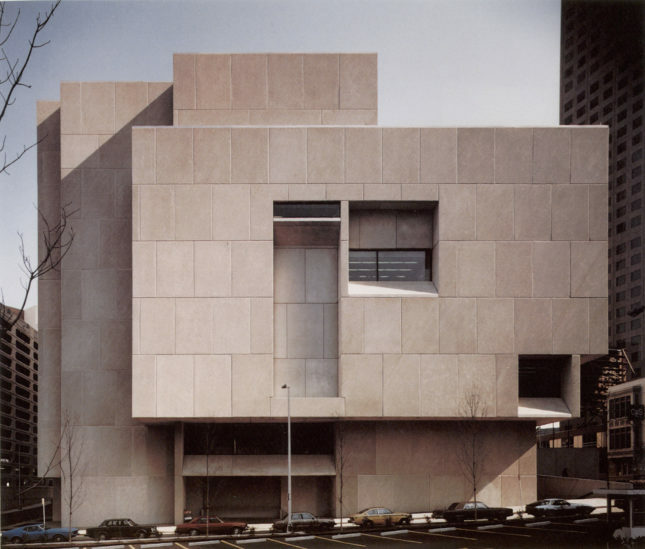 Despite the troubles facing some of the buildings, #SOSBrutalism is set to lead an exhibition on the style in Frankfurt next year, collaborating with the Deutsches Architekturmuseum (DAM) and the Wüstenrot Stiftung.